The Professionals are the ones with the certifications and degrees, the ones with initials after their name – M.D., D.D.S., C.P.A. As investors, these professionals are a unique brand. They have investable assets like other investors, but they have (or had) liabilities other investors did not have, and they have attitudes and investment behaviors that are sometimes different from investors who do not work in the Professional field. Spectrem’s segmentation studies have for years looked at Professionals as a class of investors and compared that segment to other segments such as Corporate Senior Executives or Educators. But for its new Professional Series, Spectrem decided to look separately at Doctors, Lawyers and Accountants to see how they differ from the general population of affluent investors. Spectrem also decided to compare the three segments to each other. 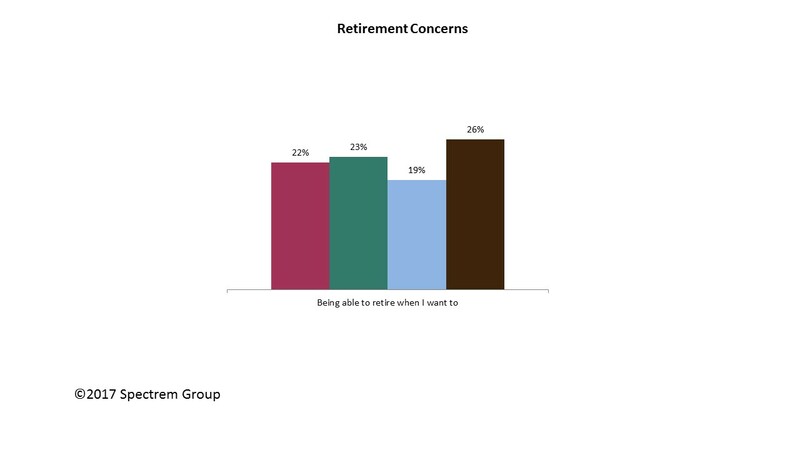 Retirement – Professionals do not worry as much as the timing of their retirement as do other investors, and accountants are least worried about when they are going to retire. However, it may be because Accountants are relying on working for a long time; they report the greatest concern about the possibility of losing their job or their spouse being out of work. Doctors and Accountants are also much less likely to have employee-sponsored retirement plans in their portfolio. Knowledge about Investing – Doctors, Lawyers and Accountants are certainly considered to be intelligent, but intelligence doesn’t always translate to investment knowledge. However, in the case of the Professionals, it does. Accountants and Lawyers most often consider themselves to be very knowledgeable about finance and investing, much more than investors from other occupations. Advisor usage – Lawyers are more likely than all others to use a financial advisor. Accountants are much more likely than other investors and the other professionals to use a robo-advisor, and are more likely to believe that human advisors and robo-advisors are equally effective. Advisor dependency – This one is unique. Accountants are much more likely than all other investors to be self-directed investors with little or no financial advisor involvement, which is amusing since so many people do their own taxes and budgeting with the services of a professional accountant. The value of Spectrem’s segmented studies is for advisors to be able to have a snapshot of an investor before meeting them for the first time, or for helping to understand their decisions if they are a long-time client. Spectrem’s new Investor Profile Tool, an interactive electronic dashboard, allows advisors to pinpoint Spectrem research points to better serve each investor based on their demographics and expressed preferences. The point is that no investor comes into the office of an advisor as a complete stranger if advisors make use of the information available to them.